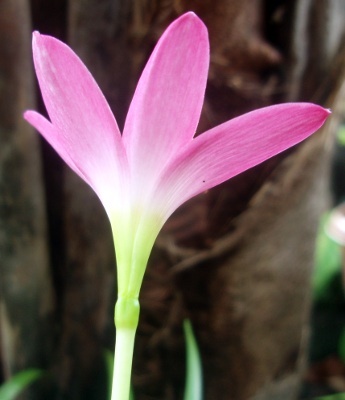 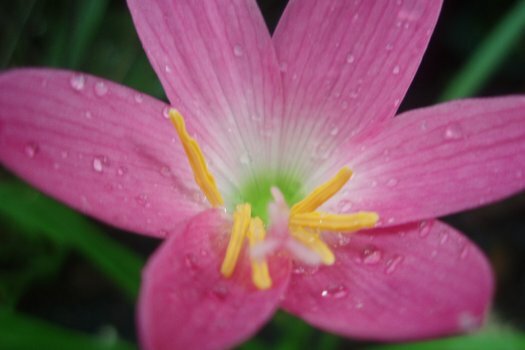 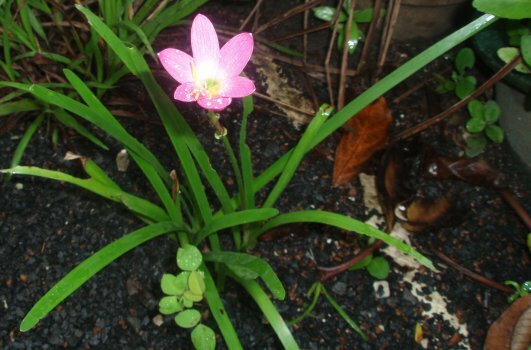 Due to the size of the blossom, this is presently thought to be Zephyranthes rosea and not Zephyranthes grandiflora. 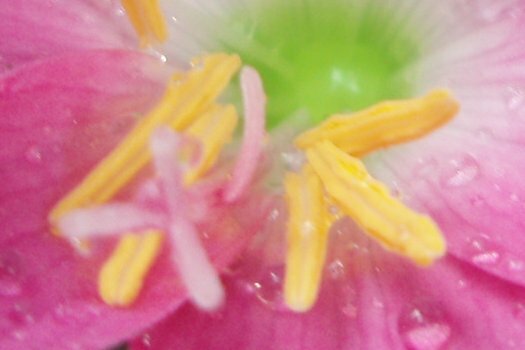 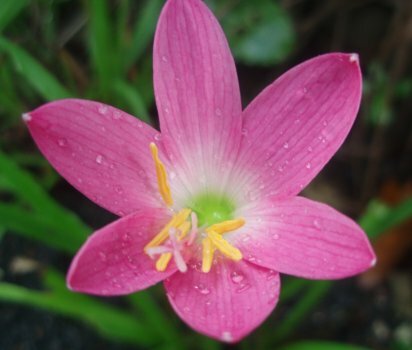 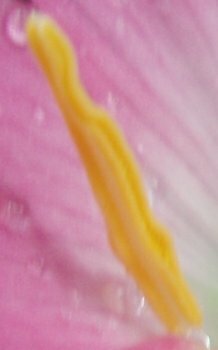 Also referred to as Zephyr lily and rain lily. 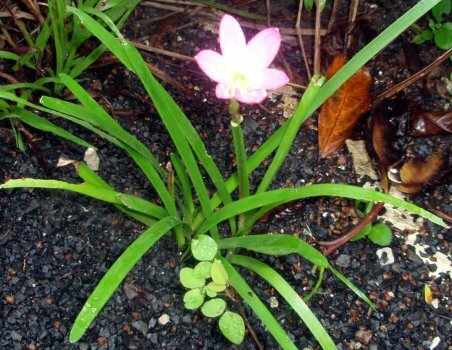 The later apparently due to its propensity for blooming after a rain.